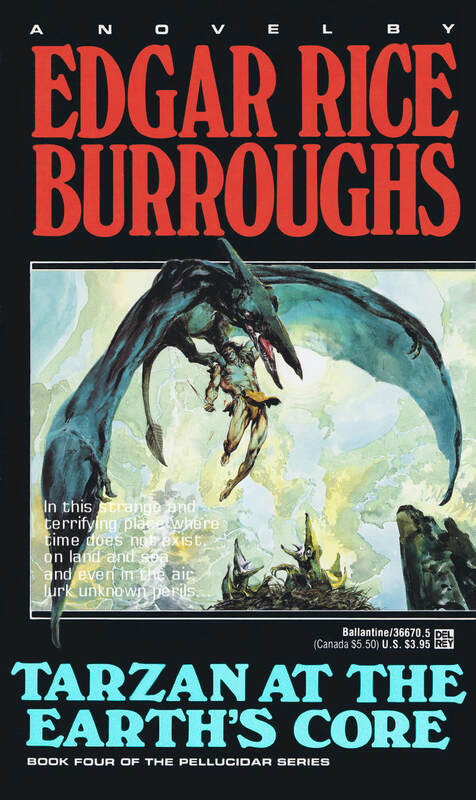 In 1990, David B. Mattingly was commissioned by Del Rey/Ballantine Books to paint the covers for Edgar Rice Burroughs’ Pellucidar series. Mattingly delivered some very nice pieces that were unfortunately paired with some pretty overbearing typography. The age of coverlines had finally taken over. Collected below are the six covers. Book 4 in the Pellucidar series is Tarzan at the Earth’s Core, which is printed as part of the Tarzan series. Yes, that’s Neal Adams’ art from Tarzan at the Earth’s Core. Nice mash-up. Thanks for sharing.